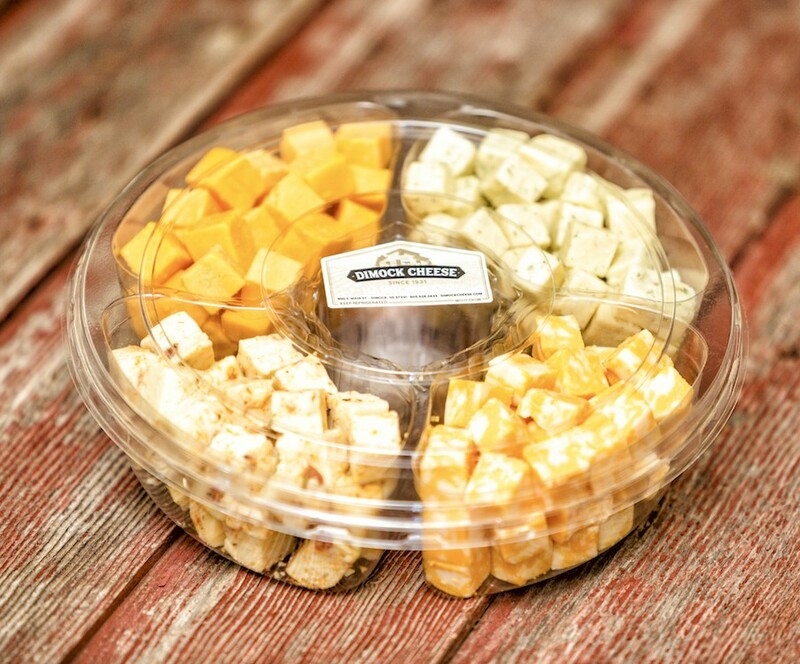 Tray with a variety of 4 kinds of cheese cubed. Approx 1/2 pound each. This is only available for pickup at Dimock Dairy. Pre-order only.